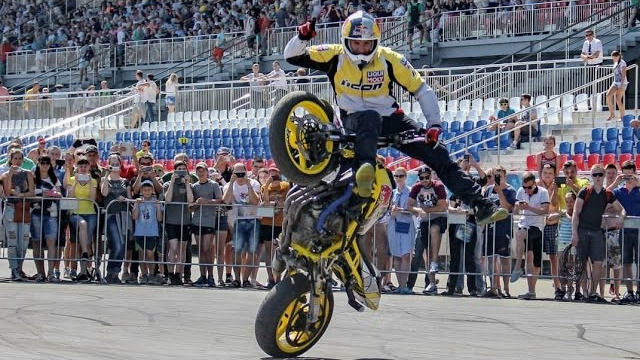 Second Stunt Show by Arunas Gibieza in Moscow. This time he stunts at Flugtag. Aras rides kawasaki ninja ZX6R 03-04 stunt bike.